Who out there uses Apple Motion? Looking for actual information. I had the opportunity to sub for a class yesterday at the college I teach at. I’m on summer break, by the way, and not currently teaching. And yes, I’m enjoying myself immensely 🙂 Anyway, I filled in for one of my colleagues for his motion graphics class that runs Apple Motion. 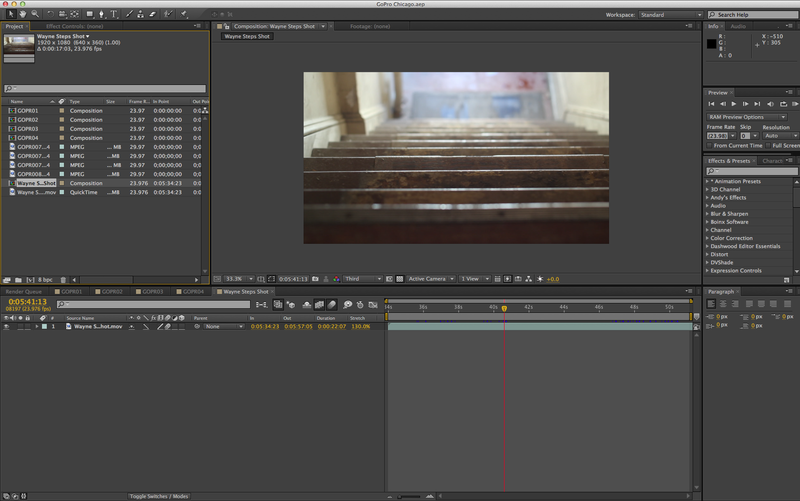 I’ve been an Adobe After Effects guy for quite a few years, only dabbled in Motion here and there. I’ll be teaching a class on After Effects in the fall. I have a lot of thoughts going on about these two pieces of software. 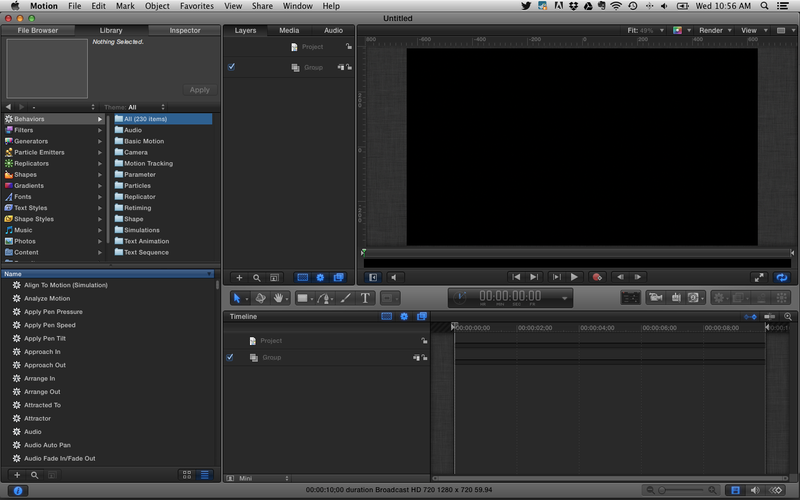 Motion is $50 and plays very well with Final Cut Pro X. After Effects is, well, whatever the current going rate is for this whole CC stuff (blah, blah, blah… don’t get me started), and of course plays well with Photoshop and Premiere and everything else Adobe has to offer. Without going into too much about Adobe’s new pricing structure, I’m wondering first of all, how many people in the industry actually use Motion on a regular basis, and if they do use it, are they using it in conjunction with Final Cut Pro X, 7, Premiere, Avid? Obviously its only available on the Mac, so that cuts out quite a few folks right away. After Effects has such a massive place in the Post Production industry at so many levels, but just how will the new Creative Cloud subscription/rental/whatever model effect certain users? This crosses over into the realm of which NLE one uses as well. So, if one is on a Mac, and one does not want to, or cannot afford to jump on Adobe’s bandwagon of subscription goodness, what do you do? Do you look into the much maligned, but actually very functional Final Cut Pro X/Motion combination? My opinion, as it stands now, is that I’d have a VERY difficult time doing this. There is no substitute out there for After Effects, just as there is no substitute out there for Photoshop. There are posers, applications that try to come close, but sorry. Nothing quite measures up. Motion is quite handy, has a lot of tricks up its sleeves, even does a few things better than After Effects. But as a tool in the industry, it just does not have the clout. I am still curious, how many users are there out there who actually start up Motion on a daily basis and create motion graphics for whatever purpose; broadcast, corporate, freelance, etc. Perhaps I’ll write more about the differences between the two as I do more work myself in both applications. Also plan on doing some research on this topic. Chime in with your thoughts, very curious to hear what the post production and motion graphics world has to say.